1 bedroom suite available June 01, 2019. Suite Features: Dishwasher. Positioned on the vibrant Davie Street, English Bay Tower offers stunning water views for residents of its modern one bedroom and penthouses apartments for rent. 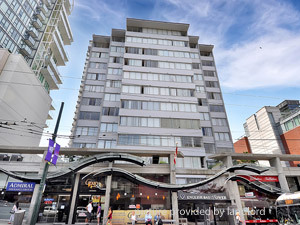 English Bay Beach is just one block over, and transit, grocery stores, and restaurants are right across the street! Call: 604-229-2463 to book a viewing with one of our professional on-site Resident Managers! Disclaimer: Photos posted may vary with suite actually available. Visit Hollyburn Properties for more details.